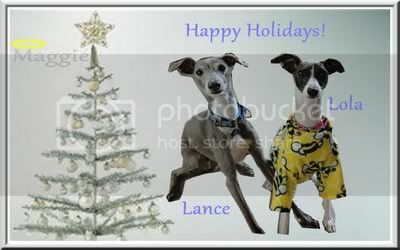 Run free my Flex - Rememberances - "IG Whispers" Italian Greyhound Forums! We said goodbye to our boy Flex tonight. My life changed that day in 2005 when we found him in the pound. I have never loved a dog like I love Flex. In my heart I know he is no longer suffering. He was a fighter ; bouncing back from many serious illnesses to continue to drive me crazy! I will miss him so...to my best boy...I love you. My condolences Donna. I believe that you will be reunited with Flex some day. Your boy will be waiting to drive you crazy on the other side. Till then he will be with you in spirit. Run free sweet Flex. I am so , so sorry my deepest condolences to you and your family. Karen is right , you will see Flex again in Heaven. Please take care. Oh Donna I am so sorry for your loss. Flex is at peace now after a hard and valiantly fought battle. Thank you for having the courage to let your angel go. I will hold my girls extra tight tonight in Flex's memory. Please know you are in my thoughts and prayers. You are all in our thoughts and prayers. I know that no words can help with this pain, but know we are here for you. Flex is finally free from the pains and hindrances that his body had been building up, and is now running unburdened, looking forward to the time he will be reunited with you once again. Edited by b00ph3tt3, 26 December 2013 - 06:02 PM. I am so sorry for your loss. No amount of words will take away your pain, but please know we are all here for you. You gave your boy the best gift ever, freedom from pain. I, too, will hug my crew a little bit tighter. Oh, I know this is hard. Our Jet passed away one month ago today. I am sure he is busy at the Rainbow Bridge right now trying to be Flex's best friend. So sorry for your loss. I know how much you love him, and Flex knows that, too! Sweet Flex will be missed in quite a few homes. I am very sorry for your loss. It's so hard to let them go and it hurts for a long time, but you will always know that you were the best thing that happened to him, as well as he was to you. I'm so sorry Donna, big hugs to you. Run free sweet Flex, I can see you playing with my Remy and Mika, your sight is restored, your hearing is alert and your young lithe body leaps and bounds over the ground at iggie miles per hour. I am so sorry for your loss, especially at this time of year. Hugs to you. Know that Flex and Neba and running around together on the other side of the bridge and you did the best thing for Flex by letting him go. It is a terribly hard decision but he is no longer in any pain now. It is such a sad thing to let them go. Donna, We all stand as one in giving you a huge cyber hug and wishing your heart to heal. You went above and beyond..Flex knows and appreciates your love and devotion. His litte body no longer hurts...that job ha been transferred to your heart. Run free sweet boy and give our love to our babies waiting at the bridge with you. I am so sorry for your loss, you are in my thoughts and prayers. Please be comforted by the fact that Flex is in some great company at the bridge. I was afraid I was going to find this post today. I have been avoiding it......and I can't read what everyone posts or I will begin sobbing at my desk. Donna, my heart aches with you. The pain of loosing a precious creature like Flex is nearly unbearable. I hope that sweet memories of happier times can bring you some comfort during this difficult time. I'm so sorry to read you loss dear Flex. I was so rooting for him in recovering in his health. He is now with all the others we all love so dearly including my Logan. It's not easy to loose the one you love when it's a heart dog. May time heal your heart however long it takes. Hugs. Donna, I have been off the internet for a few days. Just say this. I am so sorry for your loss. My prayers are with you. Run free at the Rainbow bridge Flex. I am so sorry for your loss of sweet Flex. I've been following his story for many years and was rooting for him. Run free, sweet little man! So sorry to hear about Flex. My deepest sympathies. Run Free Flex. My heart goes out to you Donna. May Flex be running free. No more pain sweet boy.